Dosa lovers, this one's for you! If you are a south Indian food lover and dosa is your thing, then here's something that will surely interest you. To tantalise your taste buds with something new and exciting, Juggernaut in Kailash Colony has come with a quirky dosa variety that is not only appealing to the palate but to the eyes as well. You must have had the regular dosas that come with fillings like aloo, paneer, onion etc. but this delight in Juggernaut called 'Anar Dosa' comes with four delectable fillings, which we bet once you taste, won't be able to resist yourself. This dosa has nothing to do with anar (pomegranate). It gets its name because of its quirky presentation (read: Insta-worthy). What makes this dosa different from the others is its size and preparation style. Mini cone-shaped dosas stuffed with scrumptious fillings is what that takes away all the attention. The mini cones are made using a fermented batter of rice and black gram. Paneer, mushroom, spinach corn and anar aloo masala are the four filling options that you can choose from. The assorted dosa platter comes with 16 pieces, four each of every variety. Our favourite of the lot was the filling of spinach and corn. The sweet taste of corn complements well with the flavour of spinach. The mushroom filling is prepared using a melange of Indian spices that enhance the culinary experience to a significant extent. If you have a liking for paneer, then there's paneer bhurji as a filling too in the assorted dosa platter. And, last is the classic potato masala filling. 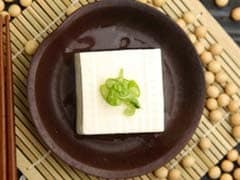 These bite-sized delights are easy-to-eat yet quite satiating as well. Pair this assorted platter with a piping hot cup of masala chai or filter coffee and you're done for the day. The dishes here are reasonably priced, so you can easily head to this place in your month-end days as well. The dosa platter is served with delectable sambar along with three different kinds of chutneys; coconut, coriander and tomato. Oh, and there's kesari halwa in the platter too to satisfy your sweet tooth. 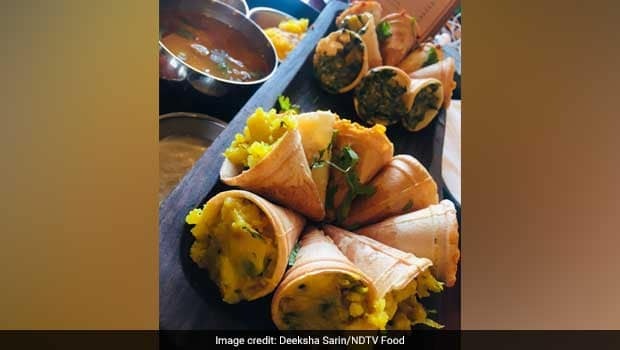 So, look no further and add this place to your foodie bucket list if you are looking to try some quirky yet delicious versions of dosa. 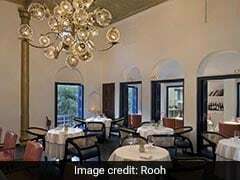 Swapan Seth: My 8 Favourite Meals in Delhi, How Many Have You Tried?